Here is an RL circuit that has a switch that’s been in Position A for a long time. The switch moves to Position B at time t = 0. This equation uses IL(s) = ℒ[iL(t)], and I0 is the initial current flowing through the inductor. For a given initial condition, this equation provides the solution iL(t) to the original first-order differential equation. 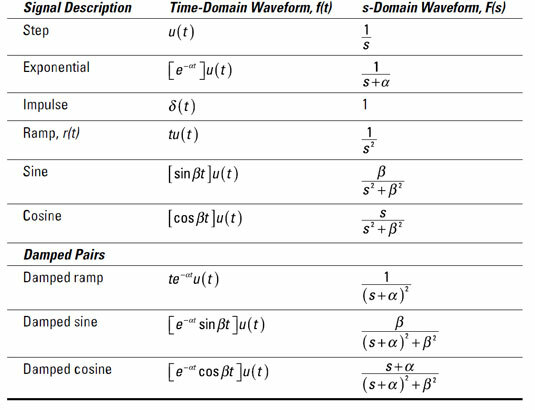 You simply perform an inverse Laplace transform of IL(s) — or look for the appropriate transform pair in this table — to get back to the time-domain. The result shows as time t approaches infinity, the initial inductor current eventually dies out to zero after a long period of time — about 5 time constants (L/R).